Collect just 10 stickers and Get 4 gift passes to play homegrown mini-golf at Kelder's Farm and a Stick to Local Farms cookbook! Collect 25 stickers and get a fabulous goodie bag. Here is a market bag awarded in 2017. every market bag award will be a different surprise! This limited edition sticker has a beautiful silver border and is a tribute to naturalist Ann Guenther. Collect ALL the stickers and you've got a chance to win a weekend for 4 at pine ridge dude ranch!!! As you collect stickers from Rondout Valley farms, you are rewarded with great adventures, stories and photos to share. But there's more! Collect 10 stickers and we'll send you the new Stick to Local Farms Cookbook and 4 passes to play Homegrown Mini-Golf at Kelder's Farm (a 30.00 value)! Collect 25 stickers and you'll get a market bag full of goodies and gift certificates. 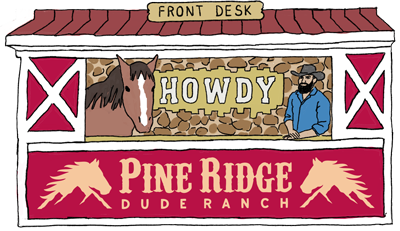 Collect all of the stickers and you get a special silver Zephyr sticker (above), plus a chance to win a weekend for 4 at Pine Ridge Dude Ranch and Resort! The drawing will take place in January 2019. To receive your rewards email us a selfie with your stickered up map, along with your name and mailing address.